Many online shoppers shop all over the world! I guess that’s almost like another form of chopping the shopping-passport (if there’s one). Although many international brands are readily available in Singapore, but there are still many brands out there that have not set up a store in this little sunny island! And even if there’s a store here, it doesn’t mean that it’s cheaper here. So, why should you miss the SALE when you can get these items by shipping them over, at a cheaper rate compared to buying in Singapore? But how can you purchase them when they are only available in USA? 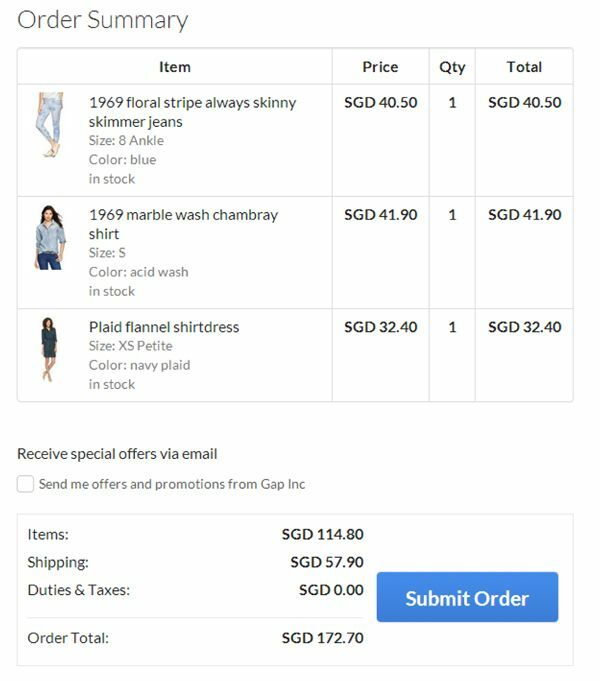 GoJane.com does provide international shipping to Singapore. But alternatively, you can actually simply engage a shopping agent that can assist you in the purchasing and shipping – hassle free! One of the agent based in Singapore is 65daigou. They are already well-known for Taobao shopping service but few are actually aware of their USA online shopping service. Basically, they help customers to purchase items from USA (also from China and Taiwan). When the items arrive at their warehouse in the respective countries, they do basic checks for right colour or any obvious defects from the packaging, then repack the items into smaller packages (if possible), before shipping them to Singapore. Getting a bag for Site A, 3 tops from Site B and 2 pairs of shoes from Site C? 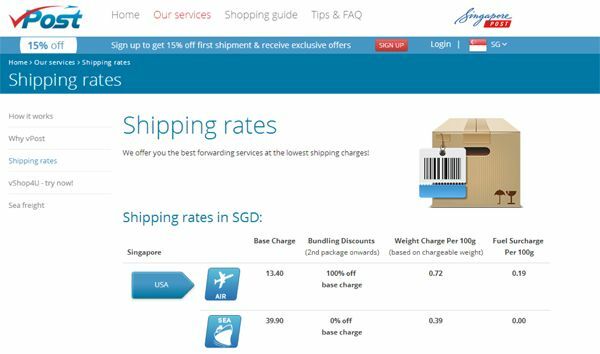 You don’t have to pay 3 different international shipping fee when 65daigou helps to consolidate the packages. You can also request to remove the bulky shoe boxes to save on shopping costs! 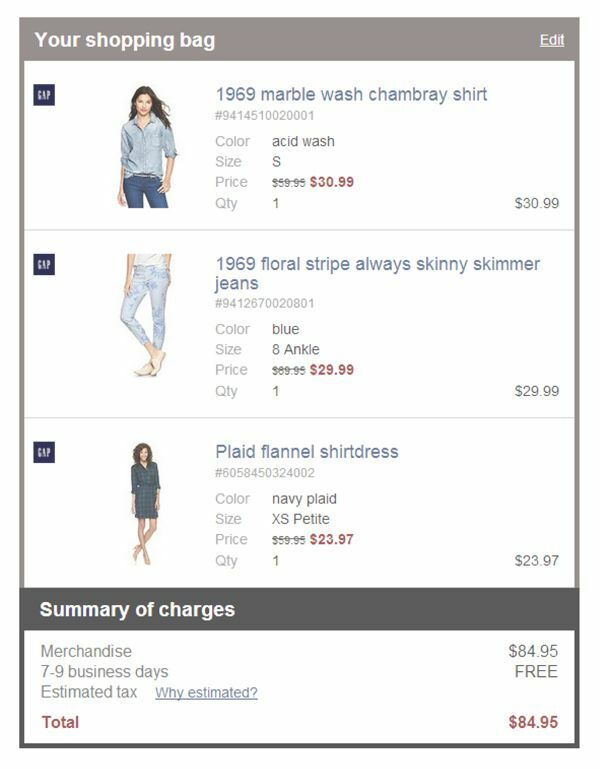 I wanted to compare the difference between buying directly from merchants’ site and using a shopping agent, so I browsed through one of the more popular brands – GAP.com. There was a Spring Sale going on – up to 60% off. I picked a few items and started to do the math. Some of you may think that $10 savings is nothing. Now what about saving money and getting assurance at the same time? You would not want your shoes to be of wrong colours and finding out only when they arrived in Singapore. This problem can be avoided if you buy the shoes through agent like 65daigou – which they will help you in any returns or exchange with the merchant, if necessary. To further ensure myself that I am getting the best deal in town, I searched for another overseas shopping agent, the well-known vPost. From the above chart, the first 500g of package is already $17.95 – whilst 65daigou is charging only at $13.40. Not to mention that there are cases where customers face issues while engaging their services. Start checking them out already!